Historical cook books and cook book collections are featured on this page. Each document provides a window to prevailing socio-economic conditions. There are many opportunities for analysis and insight. When you read each cook book, consider date of publication (if available); focus audience; contextual events; relevance to the past, present and future. The GVMA holds a collection of cook books of local and historic interest. 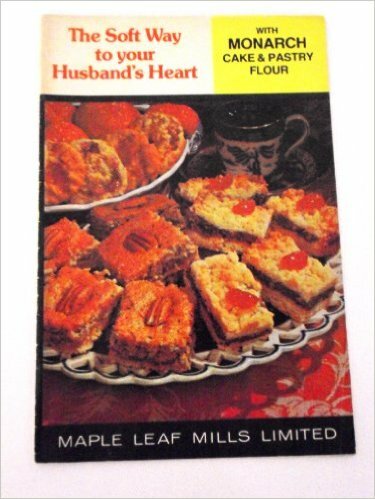 The Soft Way to Your Husband’s Heart (n.d.) with Monarch Cake and Pastry Flour is described in the introduction as “A keepsake booklet of delightful recipes in which Monarch Cake and Pastry flour makes all the difference”. Abebooks.com gives the publication date as 1962. The cartoons feature women working diligently at their perceived role of keeping everyone from their family to their husband’s boss happy and satiated with cookies, cakes, muffins and pies. It is easy to dismiss this cook book as a simple collection of recipes, rather than a socio-economic commentary on women’s work in Canada. The persuasive elements of mass-marketing are apparent as well. and Phyllis Wardle for Bul mans of Vernon, BC. 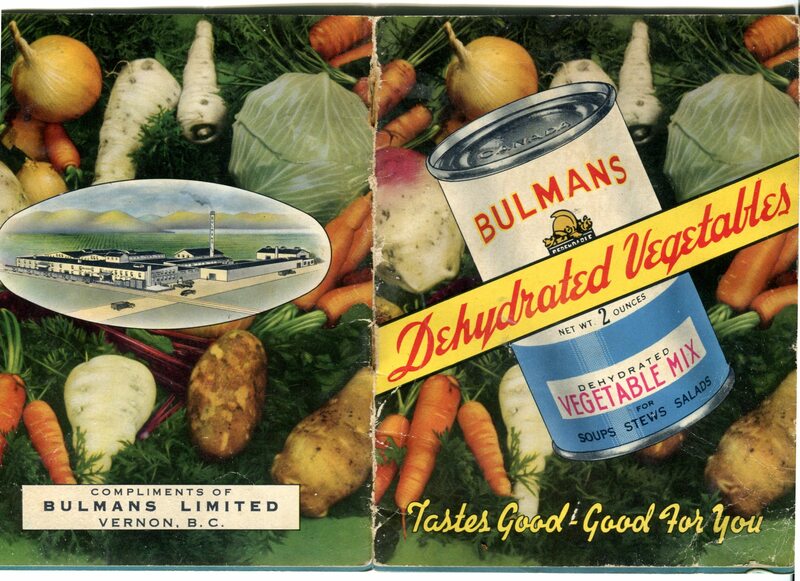 The booklet was published post-World War II with the intention that Canadians should eat more vegetables. Dehydrated vegetables were seen as the way of the future: “Every Canadian woman will be interested in this story”, wrote company president, T.R. Bulman. The virtues of dried vegetables were extolled; they never went moldy, nutritional value was preserved, the bounty of the Okanagan Valley could be managed efficiently and economically. The residents of Vernon were sensitive to the smells that came from the Bulmans factory; “Today is onions”, someone would say. Alice Stevens: Innovations in Women’s Work, British Columbia History, 49 (2), pp. 33-35. This journal is available from UBC Library.